I needed some match practice. I normally watch my own club, an experience enhanced and clouded by passion and routine. 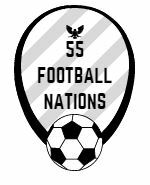 55 Football Nations is an adventure in unfamiliar players, sounds and stadiums. Luton Town was new territory for me as they hosted Leyton Orient in a League Two match that meant much to both sets of supporters. The atmosphere outside was strangely languid from the Luton regulars. The urgency greater from bottom-placed Orient, black humour peppered their good-natured requests to contribute to a regeneration fund. ‘Buy us a goalkeeper’ was less prescient than expected. Kenilworth Road is an idiosyncratic stadium, surrounded on three sides by faded period housing with a bus lane patrolling the fourth. The four stands could hardly be any less harmonious, a testament to redevelopment, but ooze history. Balls bouncing around the low boxes in the Executive Stand were a pleasing throwback. My seat in the Main Stand was hidden through a maze of covert rooms and stairways. I felt like Spinal Tap trying to find the stage. The Orient supporters welcomed their patched up team as unlikely gladiators, but some early hesitancy from a young defence betrayed these illusions. Vocal vitriol was mainly directed at Francesco Becchetti’s disastrous ownership, their notes striking a chord with the sympathetic home support. Luton were clearly the superior team, a more confident touch embodied by a fleet-footed half from left-back Alan Sheehan. The first goal, neat control and finish from Danny Hylton, supplied by a sublime pass by Olly Lee, was deserved. Orient were rocking, two well-struck efforts from Luke Gambin, a busy Maltese, were parried. The new goalkeeper was on hold. My neighbour agreed a second goal would seal three points. The patterns of play often belied expectations of fourth tier football, Orient fielded a mobile back three and Michael Collins showed second half poise in central midfield. Some lower league traits remained. A heavy touch, a misplaced pass, a hashed clearance, the latter controlled by Tristan Abrahams and blasted by Collins against an illegal Luton arm. Liam Kelly slammed in the penalty. Orient celebrated wildly, one fan escorted from the pitch with ‘Cheerio’ echoing loudly in his ears. Luton’s midfield visibly shrank and Abrahams waltzed in a second. 2-1 Orient. The clouds turned dark, the dying light from Orient’s long league stay flickering. Luton dozed at a corner, sapped by Orient’s renewed energy. The home crowd rallied. Isaac Vassell coolly slotted in an equaliser and was twice felled chasing a third. The crowd were justifiably incensed. James Justin, often taking two touches too many, made a critical, single, block to thwart a late Abrahams breakaway. The home crowd were divided, a point against doomed Orient a dubious return. Two men passionately argued over whether to jeer or applaud. Nathan Jones, the Luton manager, defiantly backed the impressive eight thousand strong support. The average crowd in League One, a division higher, is seven thousand. League One is the ninth best attended league across Europe’s 55 football nations. Luton have fans. Kev Harper, media man from the Supporters’ Trust, explained that the planned new stadium would further tap into an ardent local support. Kenilworth Road is traditional and enjoyable yet does not represent the future of modern football. Luton are clearly on an upward trajectory. Kev’s prediction of Championship football within 10 years may be achieved earlier, but Luton have been in Orient’s position all too recently. Caution is understandable. Orient may not need a new goalkeeper, but will need to retain their community spirit in challenging times.